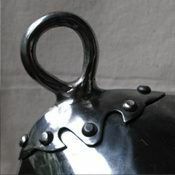 Chapel-de-fer (Kettle helm) is a type of medieval head armor, which was popular in the XIII-XVI centuries all over Europe. Infantrymen preferred such functional helm because of its easy of making and cheapness. This model with oculars is perfect for medieval fencing. This head armor has the main characteristics: good field of vision, ventilation and reliable protection not only of opponent’s hits, but of direct sunrays as well. Helmet is fixed with underchin leather belt and buckle on the head of warrior. We recommend to use steel helmet with mail coif and padded liner and pelerine. You may also like these models of medieval wide-brimmed helmets: helmet Eisenhut, Kettle helm with high top point. Great Helm (a.k.a. Grand Helm or Topfhelm) is a type of European helmet, which was popular among the medieval cavalrymen in the XIII-XIV centuries. Topfhelm appeared in times of Crusades and was evolved from the open nasal helms. Grand Helm has typical cylindrical form. Frontage is equipped with forced cross-shaped plate. Narrow eye slits and holes on the visor provide with good vision and free breathing.  Sometime, holes were located in various layout, shaping a pattern, e.g. some symbols or crosses. Neck is not closed from the back side, but by your regards we can install additional neck plate for best protection. Medieval knights wore Great Helms over padded liner with stuffed roller and mail coif. Such combination of head protection were providing not only with more comfortable wearing, but also with better reliability. Battle helm is fastened under the chin with leather belt and buckle. 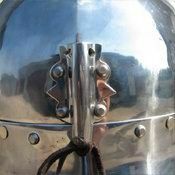 You can use this custom handcrafted head protection for: SCA HEMA Larp Stage performances Medieval festivals..
Eisenhut (from German – “Iron hat”) is a type of medieval helmet of simple design. Kettle helm and Chapel-de-fer are close “relatives” of Eisenhut. All of them had similar feature – wide brims, which protect against enemy’s hit and direct sunrays. Such helmets were mostly popular among common soldiers and infantry because of low price and easy making. 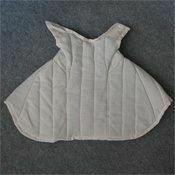 Often, Eisenhut was worn together with mail aventail and gorget for protection of throat and neck. This head armor is fixed with underchin leather belt and buckle on the head. You can use this functional battle helmet for: SCA HEMA Larp Stage performances Medieval festivals Reenactment events Main photo shows custom medieval helm with following options: Cold-rolled steel 1.5 mm; Mirror polishing as finish treatment; Black leather belt; Steel rivets; Steel nickel-plated buckles; Sewn liner; Base price includes following options: Cold-rolled steel 1.5 mm; Satin polishing; Brown leather belt; Steel nickel-plated buckle;.. 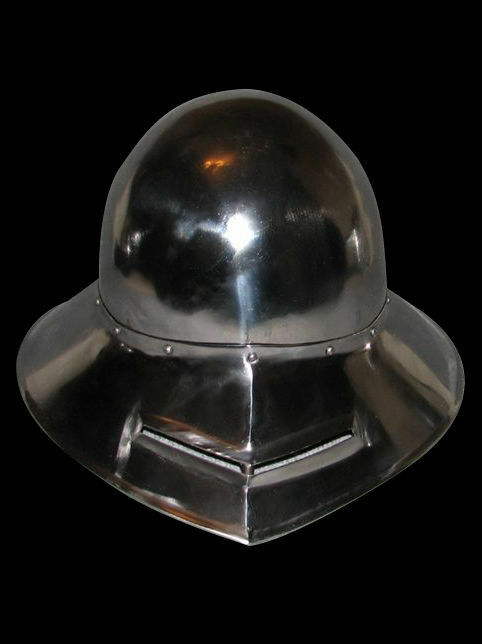 This Italian top-pointed bascinet of the XV century is based on the original helmet, which is placed in the Musee de L'Armee (Paris, France). Another name of this model is "Pig face" or "Mousehelm". Medieval helmets of type basinet replaced Topfhelms and gained great popularity among rich knights and common infantry in the mid-XIII until XIV centuries. Pigface bascinet was one of the most widespread battle helmet; you may also see it at many paintings of those times. Italian models had almost straight back part. Visor with two eye slits and holes for breathing was removable. Mail aventail had been usually attached to the bottom edge of helmet and protected neck and shoulders of a fighter. You can use this functional head protection for: SCA HEMA Larp Stage performances Medieval festivals Reenactment events Main photo shows custom medieval helm with following options: Cold-rolled steel 1.5 mm; Mirror polishing as finish treatment; Brown leather belt; Steel rivets; Steel nickel-plated..
Closed cavalry helmet armet was widespread in the XV-XVI centuries. This model of classical tournament medieval helm armor has typical features: spherical shape of dome; movable gorget; movable visor. Battle helmet fits a head very close and protects neck and partially collarbones. Sewn liner makes wearing of head protection more comfortable and reliable. Cuts on the visor provides with good visibility and breathing. There are also holes on the sides of armet. This handmade armet is made by personal parameters of customer. You can use this functional medieval helmet for: SCA HEMA Larp Stage performances Medieval festivals Reenactment events Main photo shows steel helm with following options: Cold-rolled steel 1.5 mm; Satin polishing as finish treatment; Steel rivets; Steel nickel-plated buckle; Brown leather belt; Sewn liner; Plume holder Base price includes following options: Cold-rolled steel 1.5 mm; Satin polishing as finish treatment; Brown le.. 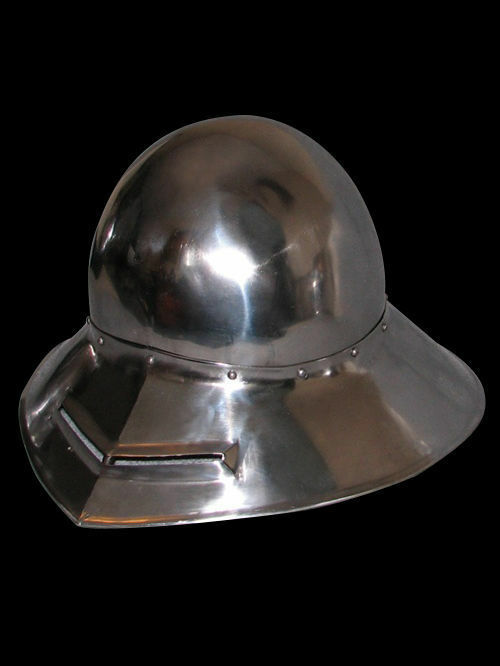 Presented closed knight helmet is an evolution of medieval head protection topfhelm. It is called the Sugarloaf helm. The helmet has no moving parts. Foot soldiers usually did not wear such helmet. However, such head armor was popular among mounted knights. Main purpose of battle helm was to protect the rider from a direct strike with a spear. Two narrow eye slits and holes on the both sides of visor allow perfect vision and breathing during the combat. By your wish, we may drill breathing holes only on one side of helmet. This made-to-measure Middle Ages helmet is completely handcrafted by our artisans. You can use this functional combat helmet for: SCA HEMA Larp Stage performances Medieval festivals Reenactment events Base price includes following options: Cold-rolled steel 1.5 mm; Satin polishing; Brown leather belts; Steel nickel-plated buckles; Steel rivets; Sewn liner; No decoration Main photo shows steel battle helmet with following options: Cold-rolled steel 1..
Bascinet (also bassinet, basinet, or bazineto) of 1380-1410 years, from Higgins Armoury Museum is a type of helmet common in medieval Europe. It replaced the topfhelms in the XIV-XV centuries, and was very common in heavy infantry and cavalry. 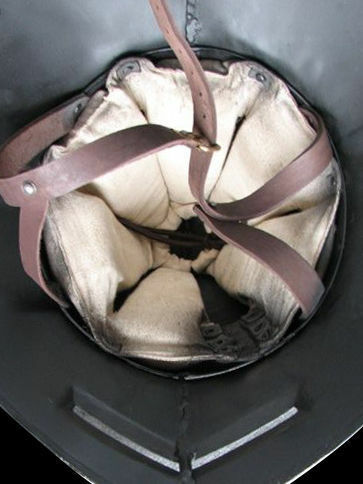 In fact, the bascinet is the base on which you can put various visors. Bascinet Hounskull from the Higgins Armory Museum, USA But, paradoxically, the first models were not visored at all, they were dressed under a big tophelm, in order to withstand very powerful blows. Naturally, such a design was very cumbersome, and enjoyed limited popularity, in tournaments or in horse-drawn battles. For foot soldiers, the ideal option was a bascinet (bacinet) with a visor, providing reliable protection, with a moderate mass (about 7 kg.). Here is an option hundsgugel - "dog head", which was popular from the end of XIV to the middle of the XV century. This practical and very reliable helmet, the conical shape of the visor guarantees excellent protection..